Adopt or Foster a Great Dane! 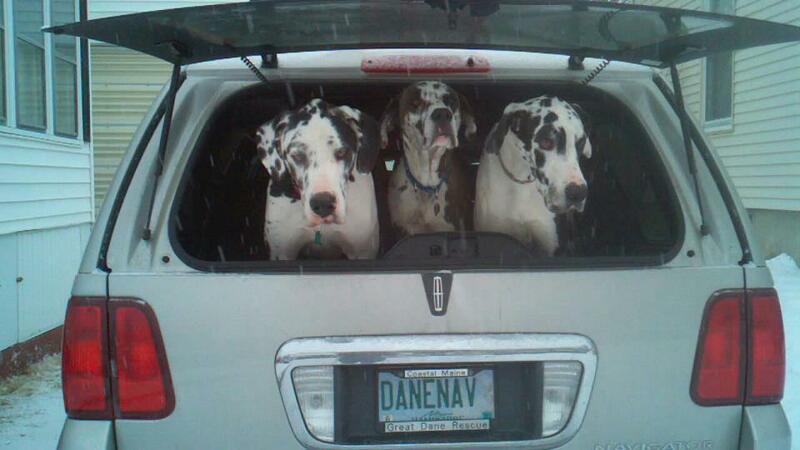 Coastal Maine Great Dane Rescue is a small, home-based rescue group, operating out of Topsham, Maine, and serving Maine and New Hampshire. Senior dogs hold a special place in our hearts, and we encourage you to consider them for adoption. We'll be happy to talk to you about the many benefits of our older friends!! We are an all-volunteer group, and welcome your interest in fostering dogs as they become available for adoption to their forever homes, or volunteering in any way you can. Please read our success stories to learn more about danes that came to us in need and now have wonderful new families. These stories demonstrate the benefits of adopting and living with a great dane. Thank you to all the families who have adopted these wonderful dogs and changed their lives. E-mail or call us at the contacts listed below. Some of our favorite seniors! We have joined the Amazon Smile program that allows you to support CMGDR when you shop on Amazon. Summer Danes at the Beach!! When one is just not enough! !